The Kestrel should be recalibrated if the Relative Humidity (RH) sensor has been replaced or has shown drift in its RH measurement. 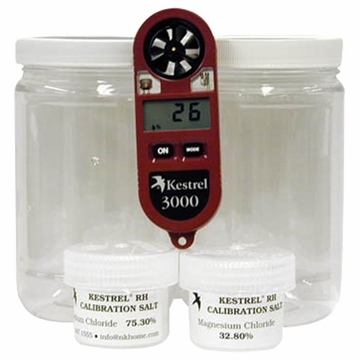 This manual explains the steps for calibrating the humidity measurement for the Kestrel. The large container is used to create a stable environment. The small containers are used to hold the saturated salt solution. The saturated salt solutions generate well-defined humidity when they are confined to a contained environment. 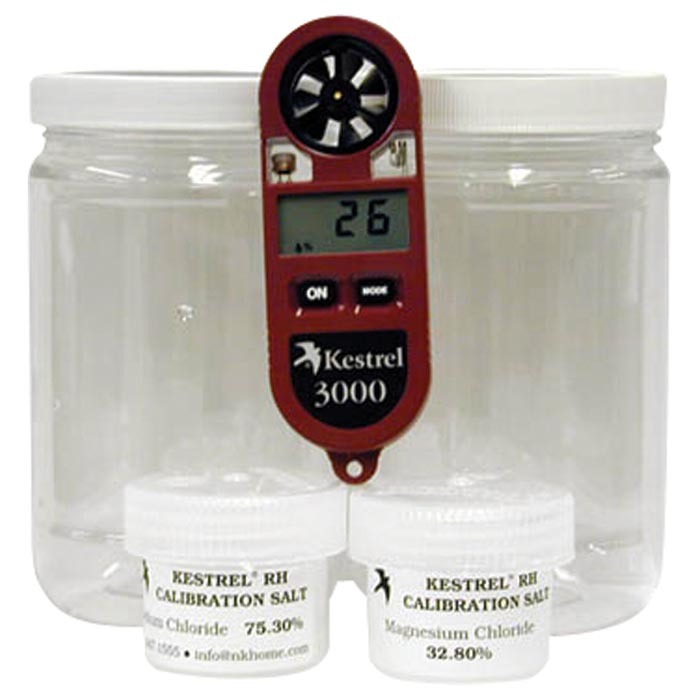 The RH calibration kit includes the following items: 2 clear, sealable containers. 1 small container with magnesium chloride solution. 1 small container with sodium chloride solution. 2 wooden scrapers.